This tapestry has a window effect to it. 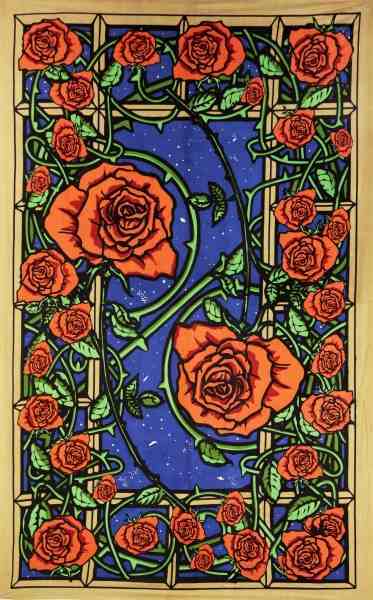 See just how red the roses are, and when you look out the window, you'll see that the sky is blue. 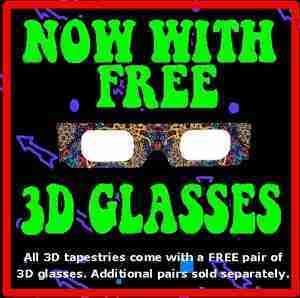 A pair of our 3D glasses (sold separately), will make the roses jump out! The 100% cotton tapestry measures approximately 60" x 90". It can be used as a wall hanging, room divider, bed sheet, beach blanket, or window curtain. Great for use at a festival. It is equipped with specially-designed loops to accommodate easy hanging.